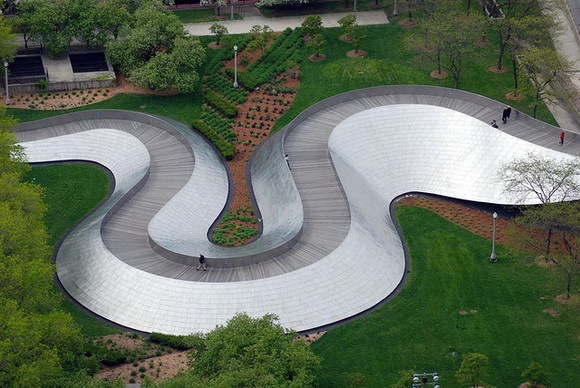 The BP Pedestrian Bridge, or simply BP Bridge, is a girder footbridge in the Loop community area of Chicago, Illinois, United States. This pedestrian bridge serves as a noise barrier for traffic sounds from Columbus Drive. 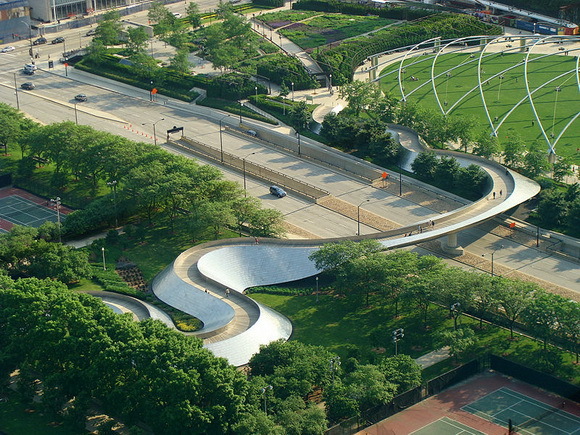 It is a connecting link between Millennium Park and destinations to the east, such as the nearby lakefront, other parts of Grant Park and a parking garage. The Capilano Suspension Bridge is Vancouver’s oldest tourist attraction, having been built in 1889. 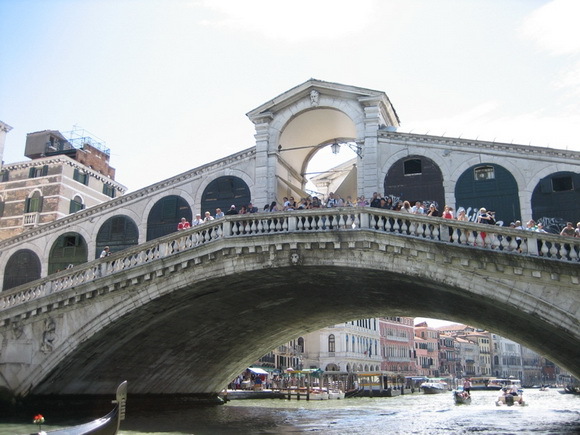 The current bridge is 450 feet (137m) across and 230 feet (70m) above the river. 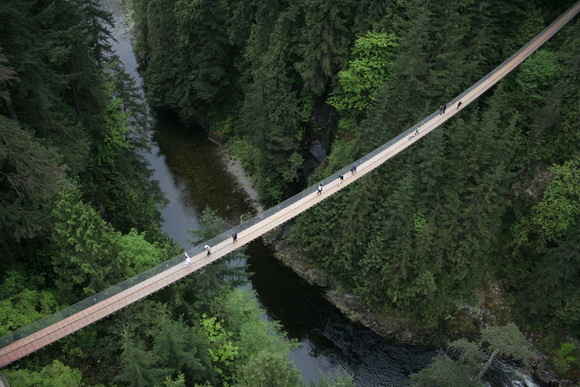 The Capilano Suspension Bridge and Park draws over 800,000 visitors a year. It offers splendid views of the river below and old growth forest. 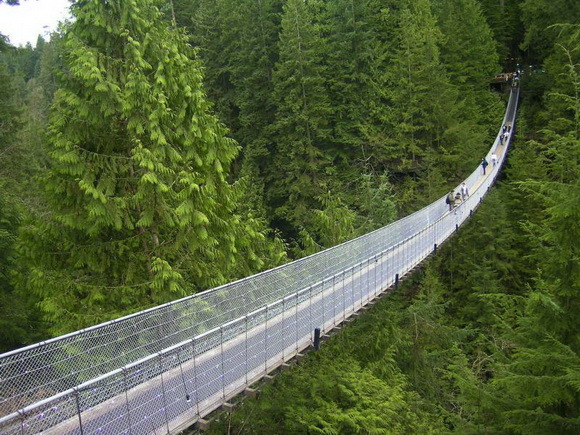 Experiencing the thrill of Vancouver's largest suspension bridge is a must for any local or visitor. 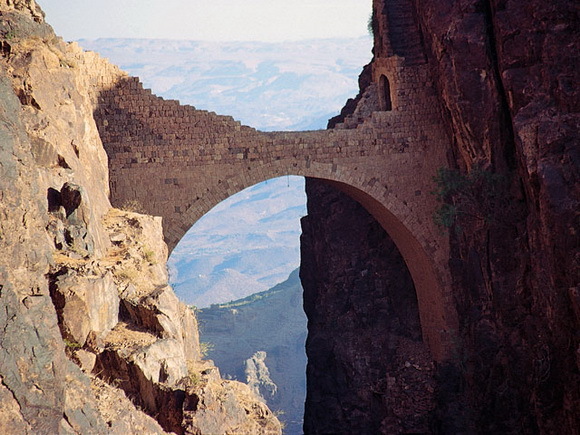 The Shaharah Bridge, Yemen, build to fight turkish invaders. 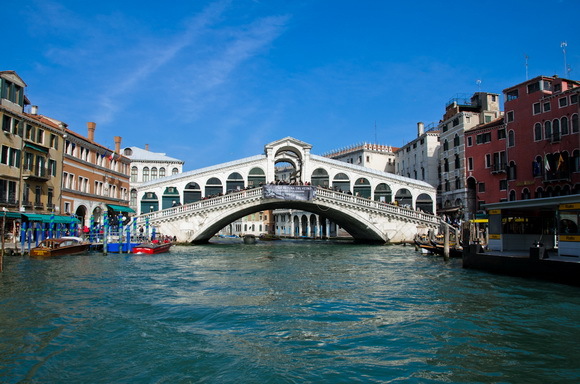 The legend says that the local people can remove the bridge in few minutes in case of imminent danger. 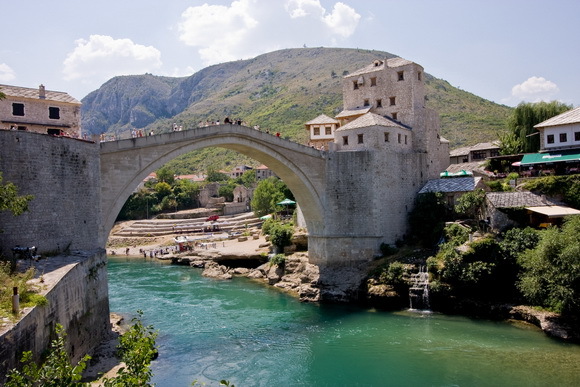 Old Bridge (Stari Most) is a reconstruction of a 16th century Ottoman bridge in the city of Mostar, Bosnia and Herzegovina that crosses the river Neretva and connects two parts of the city. 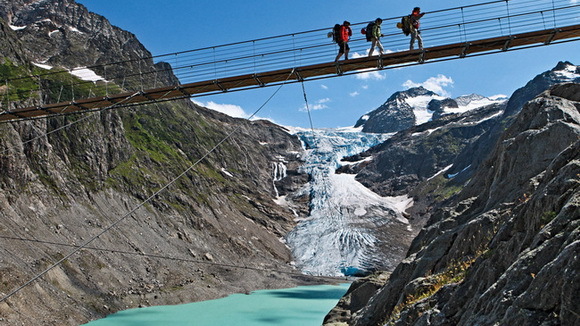 Trift Bridge is one of the most spectacular pedestrian suspension bridges of the Alps. 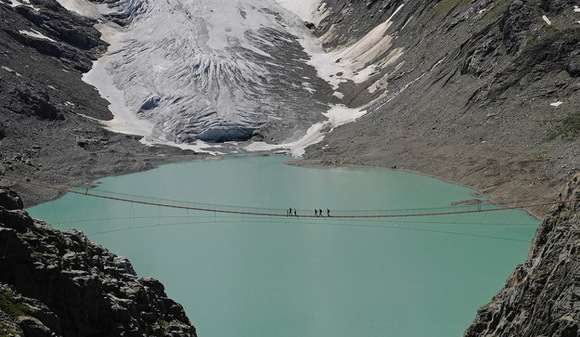 It is 100 meters (330 ft) high and 170 meters (569 ft) long, and is poised above the region of the Trift Glacier. Even reaching the bridge through the ravine by cable car is an adventure. 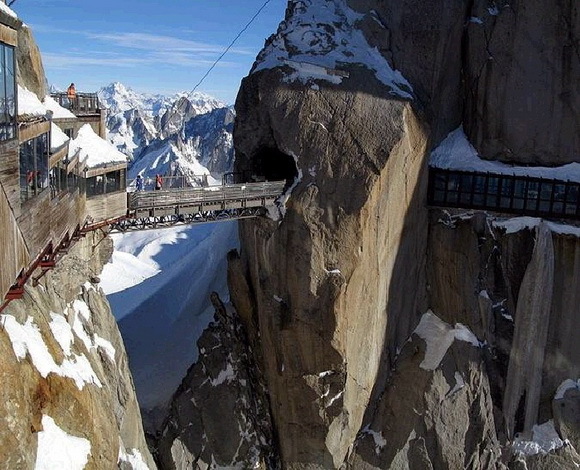 Built in the French Alps it represents an observation deck. 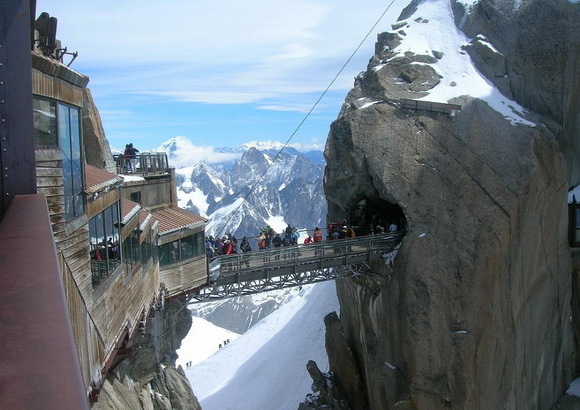 In short, it’s a tiny bridge between two cliffs that connects two mountains and offers a marvelous view of the Mont Blanc massif. 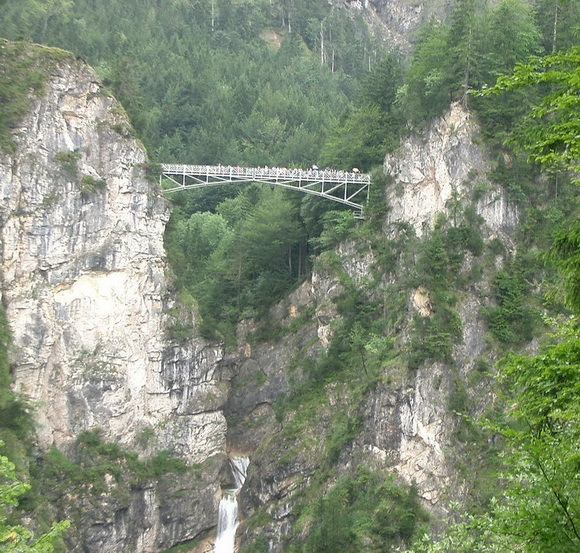 Marienbrücke (Mary's Bridge) is a bridge located near the famous Neuschwanstein castle in Hohenschwangau, Bavaria. 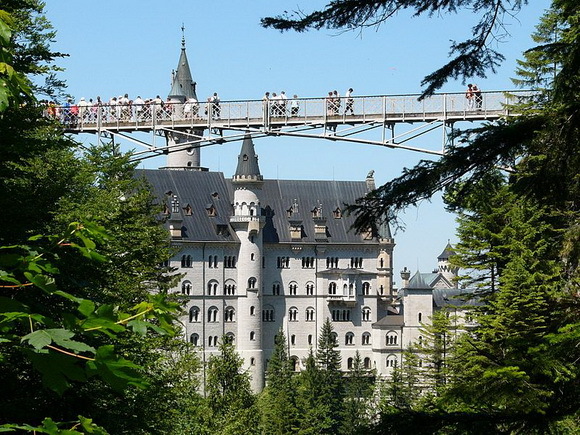 Many tourists each year visit the bridge to get a good view of the castle, and take pictures of themselves with it in the background. 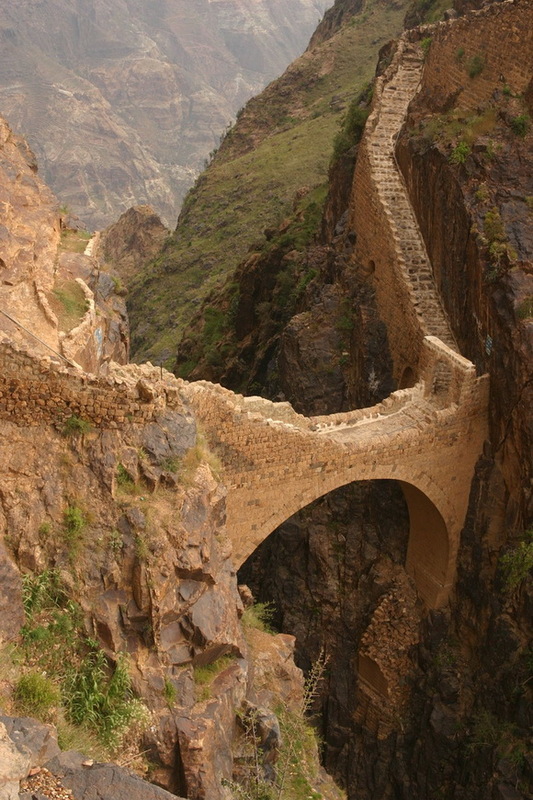 The bridge crosses a large gorge, with steep cliffs on both sides. Underneath runs a water fall from the surrounding mountains down into the valley. 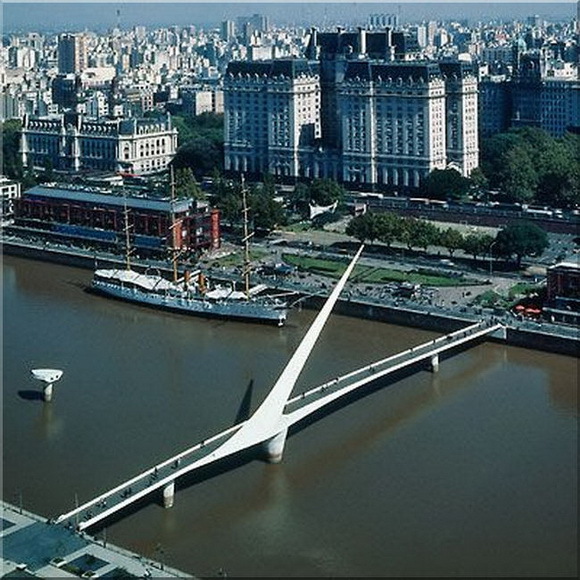 Puente de la Mujer is a rotating footbridge for Dock 3 of the Puerto Madero commercial district of Buenos Aires, Argentina. 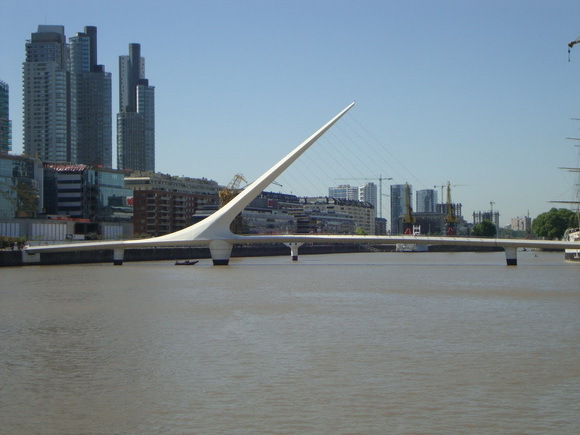 It is of the Cantilever spar cable-stayed bridge type and is also a swing bridge, but somewhat unusual in its asymmetrical arrangement. 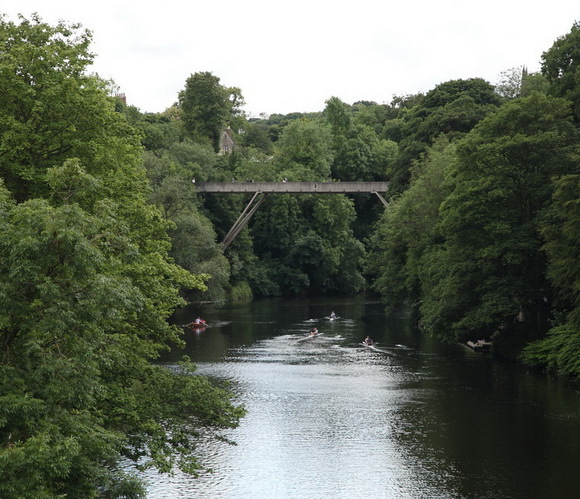 Kingsgate Bridge is a striking, modern reinforced concrete construction footbridge across the River Wear, in Durham, England. It is a Grade I listed building. 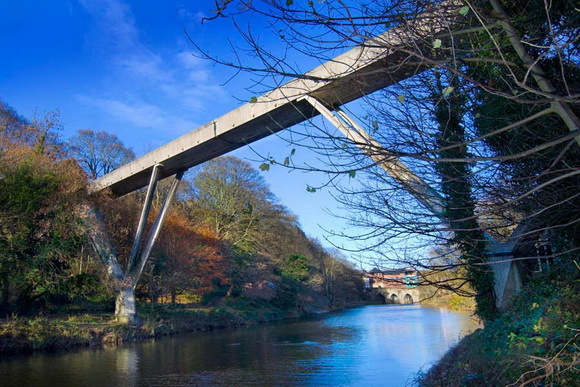 It was designed in 1963 by Sir Ove Arup personally, connecting Bow Lane on the historic peninsula in the centre of Durham to Dunelm House on New Elvet (to which building Arup's studio also contributed), and opened in 1966. 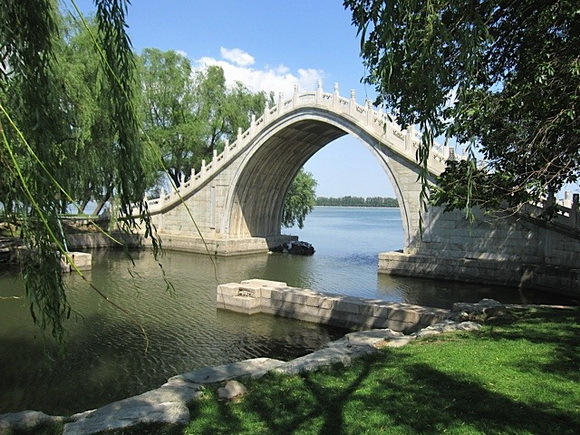 The Jade Belt Bridge, also known as the Camel's Back Bridge, is an 18th century pedestrian Moon bridge located on the grounds of the Summer Palace in Beijing, China. 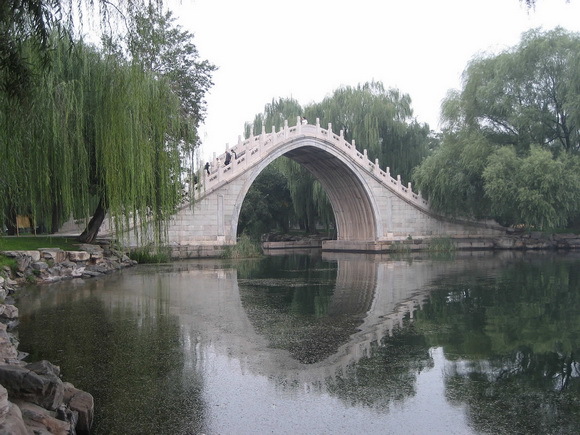 It is famous for its distinctive tall thin single arch. 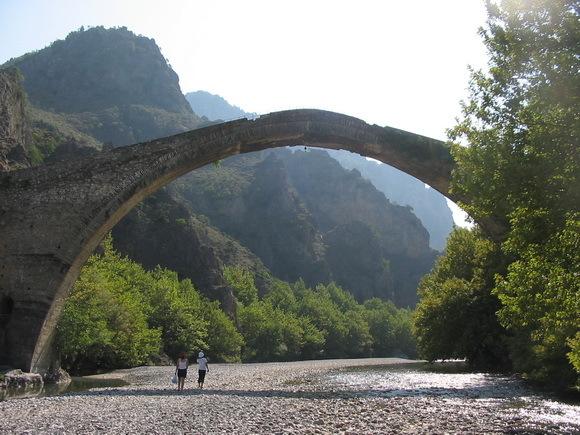 The old bridge of Konitsa over the river Aoos, one of the highest of its kind in Greece. 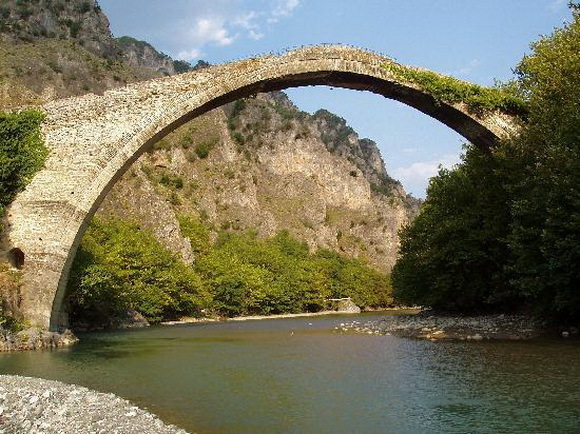 Behind this bridge starts the Vikos-Aoos National Park. In winter, the river bed is completely covered with water.